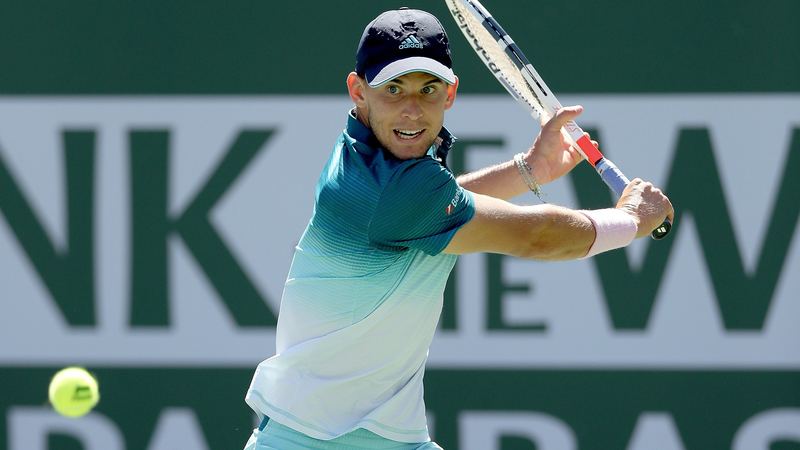 Indian Wells Masters champion Dominic Thiem crashed out of the Miami Open with a second-round loss to Hubert Hurkacz on Friday. Coming off the biggest title win of his career, the third-seeded Thiem was beaten 6-4 6-4 by Hurkacz. Thiem went up a break in each set, but was pegged back before losing in one hour, 17 minutes at the ATP 1000 event. The Austrian stunned Roger Federer in the final at Indian Wells, however, he was unable to back it up in Miami. Hurkacz, the talented Pole who has two wins over Kei Nishikori this year, claimed decisive breaks in the 10th games of both sets. The world number 54 will next face Canadian teenager Felix Auger-Aliassime, who is enjoying a breakout year.